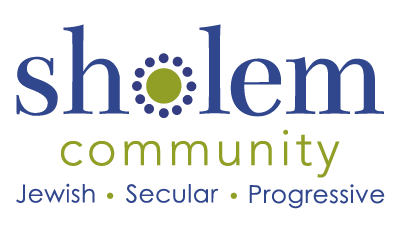 The Sholem Sunday School’s excellent teachers have substantial training and experience in progressive teaching techniques that create projects, pose problems, and use engaging in-class activities that encourage student participation and group involvement. Our classes are fun, creative, connected, caring, contextualized, and rigorous in their pursuit of critical and independent thinking. What follows is the focus of each two-year class; however, it should be noted that we teach a “spiral curriculum” in which content is returned to throughout the years. As students mature, material is re-introduced over time with increasing complexity, building on previous learning so as to deepen and broaden the students’ understanding according to their developmental stages. Further, our teachers work very closely to ensure continuity in class content, and also to help students develop their own expressive and intellectual inquiry. Each class incorporates a guiding question that ties together the content of the lessons. The Pre-K through Kindergarten class, Marking Time Together, follows a curriculum centered around the year of Jewish holidays with an emphasis on both natural and human cycles. This is paired with an exploration of community, family, identity, and cultural heritage. Children become familiar with Jewish holiday traditions and their common roots with other cultures in the cycles of the year, as well as Yiddish and Hebrew words and phrases, and Jewish folklore. They build community and an appreciation for diversity by sharing events from their lives and family stories, as well as through play and time to develop relationships with their classmates. Children access the material through singing, art, stories, and play, engaging all of the senses with a spirit of fun and curiosity. This class is designed to develop a healthy grounding in the process of marking time together as a community in a way that is familiar and reassuring to young children. The 1st-2nd grade class, Many Ways of Being Jewish, explores Jewish cultures around the world, past and present. One year focuses on contemporary Jewish cultures around the world, cultivating respect for diversity and a sense of Jewish community. Beginning at home in Los Angeles, children learn to “think like anthropologists” and examine their own culture, customs, traditions, and heritage. They investigate the cultures of their grandparents and great-grandparents, discovering where our customs came from. Inspired by the popular children’s book Flat Stanley, with home-made “passports” in hand, children engage in a whimsical and meaningful exploration of Jewish communities of the 20th and 21st centuries, including North America, Israel/the Middle East, South America, Europe, and elsewhere. They learn what life is like for Jewish children in these locations, and what life was like for those children’s grandparents and great-grandparents during the great cultural changes of the 20th century. Through stories, photographs, video, guests, pen pals, and other primary sources, the class learns to ask and investigate their own questions about how Jews express who we are today. The other year of the two-year cycle focuses on Jewish cultures and folklore of the post-Biblical, pre-industrial era, including shtetl life in Eastern Europe, the Golden Age of Spain, and Jewish life in the Islamic world of the Middle East and North Africa. . After building community by constructing our own “time travel machine,” children explore the daily life of each culture through folk tales, music, art, food, and holiday celebrations. The class learns words in Yiddish, Hebrew, Ladino and Arabic, and is exposed to the Hebrew alphabet. Students examine the diversity of Jews throughout history, and how Jews have chosen to express their Jewishness throughout time. Through age-appropriate discussion of current events, the class relates aspects of Jewish history to contemporary issues of diversity and inclusion that affect our lives today. The 3rd-4th grade class, Beginnings, explores the historical and mythological origins of early humans and ancient Jewish culture and their migrations over time, culminating in Jewish immigration to the United States. One year of the 3rd-4th grade class looks through the lens of astronomy and astrophysics coupled with the mythology of Genesis compared to creation myths of cultures around the world. The class examines the history of the ancient Jews, and archaeological evidence, pairing this with the common threads of mythology, superstition and history—in an effort to gain a broad sense of how ancient peoples, including the Jews, made sense of their world. Students creates dynamic family maps, broadly interpreting the meaning of “family” to include humankind, life itself, love, and students’ own very personal (and sometimes very complicated) origin stories. We continue the Hebrew learning begun in previous years, and also learn some Aramaic, singing songs about characters we encounter in Genesis and learning holiday greetings and words for family members. The other year of the two-year cycle focuses on our closer ancestors—Jewish immigrants to North America. The class explores the Jewish immigrant experience in America, including the lives of Jewish immigrant children. The language study of this year is be primarily Yiddish, as the language of Eastern European Jewish immigrants. There is also be an exploration of culture through music, literature, and theater. As the class learns about the labor movement and Jewish involvement in workers’ rights issues of the early 20th century, they weigh these immigrant and worker experiences against those happening now, looking critically at similarities, differences, historical context, and commonalities in social justice movements. The class works on a non-traditional digital family mapping project in order to discover, explore, and ultimately share details about our genetic and cultural heritages, which may or may not overlap. The 5th–6th grade class, Roots, is an in-depth exploration of Jewish holidays including their purpose and meaning, their historical context, and their role in our lives today. One year of the 5th-6th grade class focuses on the origins of the fall New Year Festival (rosheshone/Rosh Hashana, yonkiper/Yom Kippur and sukis/Sukkot), Hanuka, and pesach/Passover. The other year again looks at the fall New Year Festival as it developed in later eras, as well as Purim, shabbes/shabbat, and shvues/Shavuot. Students compare and contrast holidays from a wide variety of cultures, and explore the cultural connections between holidays, as well as the Jewish folk, cultural, religious, and peoples’ traditions surrounding Jewish holidays. The class emphasizes the historical context in which holidays developed and changed over time, as well as a significant exploration of values. Students learn more about how the celebrations of these holidays, and their meanings, have changed, and how those changes reflect the politics and historical context of their time. Students also create new holiday observances for their class and for the Sholem Community. The guiding question of the Roots two-year cycle is: How does what we do reflect what we believe? The 7th-8th grade class, Who are the Jews, explores Jewish literature, art, music and political life through a study of the Torah and other ancient Jewish texts and their historical context, as well as modern secular Jewish literature and history. One year of the 7th-8th grade class is an introduction to a secular analysis of the Torah and other Jewish texts including Judges, the Prophets, the Talmud, and more. Students become familiar with some of the content of the texts, the context in which they were written, the archaeological and mythological history surrounding the writing and impact of these texts, as well as how they influence current day politics and culture. The guiding question for this year of study is: Who wrote Jewish religious texts, why, and what do they mean today? The other year of the two-year cycle explores the history of the secular Jewish movement through its political movements, literature, music, and art. Students study the historical context of the activists, artists, writers, and musicians in Eastern and Western Europe and the United States who helped build the secular Jewish movement, along with primary source documents. This year includes interviews with community members, collaborations with secular Jewish communities in other areas, and a focus for each student on exploring the Jewish part of their identity in the context of all of the aspects of their identity. The guiding question for this year of study is: Where do secular Jews come from and what does it mean to be a secular Jew today? The 9th-10th grade class explores ideas from all sides, providing students with a lens with which to study the world, not through simplistic dualities, but rather the harder-to-define grey area in which truth is ever-elusive, and is approached by looking critically at issues from multiple points of view. The 9th-10th grade class focuses on important events from the 1930s to present day, including Holocaust studies and resistance to oppression; the founding of Israel and subsequent Israeli-Palestinian (and larger Arab/Muslim world) relations; post-WWII US Jewish assimilation; the evolution of the organized labor movement; McCarthyism and the blacklist; Jewish involvement in the civil rights movement; and the many different ways in which a person can be Jewish in today’s world. In addition, students explore parallel subjects to gain deeper understandings into these themes, such as using the Stanford Prison Experiment as a way to delve deeper into genocide studies; how the rise of super hero comics (created largely by Jewish talent) were parables of the Jewish immigrant experience—itself a parable of all immigrants; or how the literature of classic secular Jewish authors (including Franz Kafka’s The Metamorphosis) might be interpreted and reinterpreted today to represent an aspect of the Jewish psyche—as well as commenting on universal aspects of the human condition. Vov class students follow the interests and curiosity of the students through Socratic dialogue as they examine contemporary, relevant events and themes. The eleventh and twelfth grade students participate in the community as belfer, Yiddish for “helper.” These students serve as teaching assistants in the classroom, and help to organize and run the community including helping with the music program, adult events, and more. Our entire curriculum is filtered through four “lenses,” or focus areas. Everything we design, from a two-year class, to a 45-minute lesson, is continuously filtered through these four lenses. We situate major Jewish historical events in the larger world history. We seek in Jewish history and culture motivation for progressive social action. We identify Jewish cultural history and draw parallels with the cultural development of other peoples. We teach holidays and traditions in connection to natural cycles, students’ families, mythology, and cross-culturally. We study and express elements of Jewish culture, especially music and the arts. We focus on diversity in the wider world, the Jewish world, and the student’s world. We provide tools and platforms for students to explore and express their identity, including their own sense of Jewishness, as well as parts that might not be widely accepted. We acknowledge and embrace the diversity in our own student / family community. We teach a critical awareness of issues of power/privilege within diversity. We study how to evaluate and think critically about competing values. We emphasize collective responsibility to others and to the world. We explore the values each students’ family holds. As a school, and community, we put values into action. Many of our community social action projects are led by or alongside students.